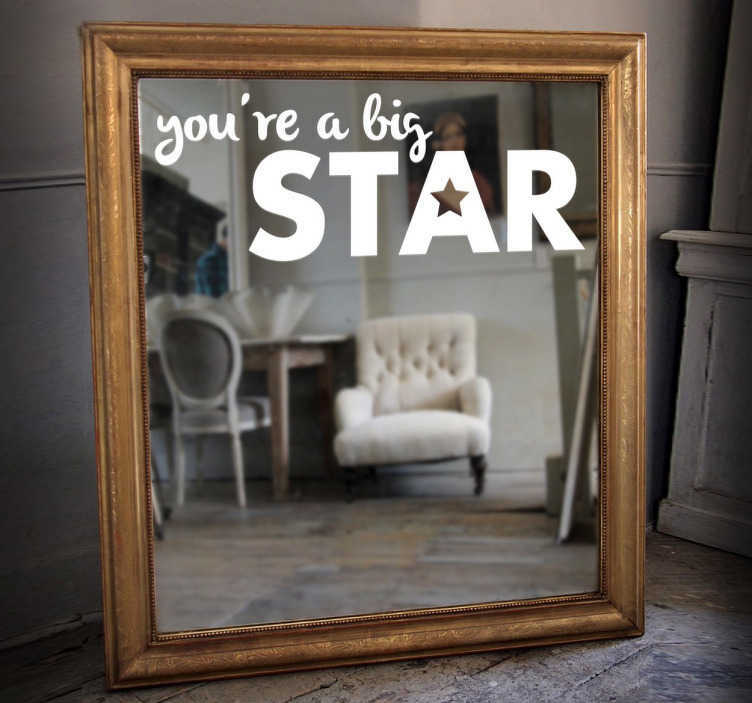 Text sticker for mirrors with the words, "you're a big star", from our collection of motivational stickers. Apply this inspiring sticker on your mirror every morning to get you pumped for the day to come and remember that you really are a big star! This monochrome decal is available in various sizes and 50 different colours and leaves absolutely no residue upon removal. If you want to change the message shown, simply send us an email at info@tenstickers.co.uk and describe the details to us!